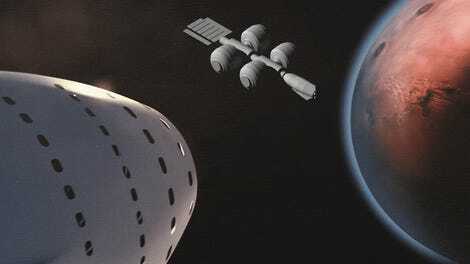 In order to fly into Earth’s upper atmosphere and beyond, Elon Musk’s SpaceX rockets have to squeeze more fire propulsion through their lower nozzles than you did last time you overindulged at a particularly spicy Taco Tuesday. 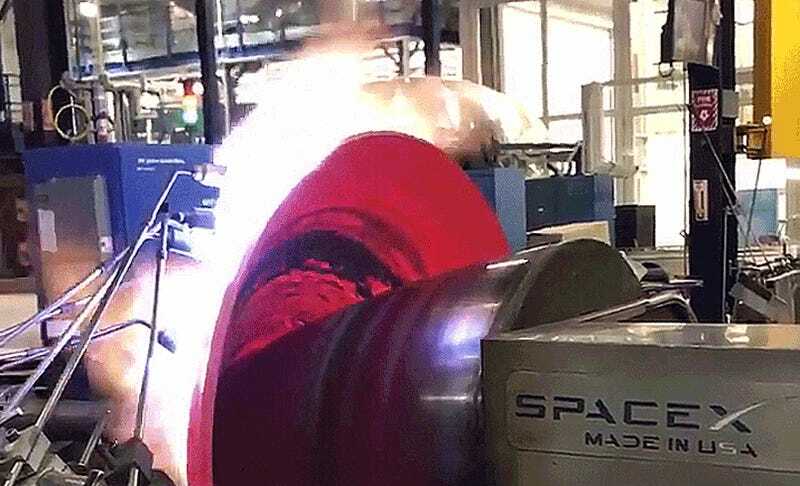 This afternoon, Musk tweeted 10 cool (er, hot) seconds of how that essential component is forged. Reminds me of those bowls I used to make out of clay lumps in art class, except this thing is part of one of our era’s most amazing vehicles and I’m pretty sure my mom threw out all of my bowls. As SpaceX explains, its Falcon 9 rocket makes “more thrust than five 747s at full power,” or more specifically “1.7 million pounds of thrust at sea level but gets up to over 1.8 million pounds of thrust in the vacuum of space.” I’m not totally sure whether or not the nozzle in this video is going on that same rocket, but it’s safe to assume the component will be processing at least one metric shitload of energy. Hopefully, we’ll soon get to see this baby rip for real. Until then, we’ll have to depend on Sarcastic Rover to get Mars ready for us.